Back in the 1960s, even the NRA supported gun control to disarm the group. 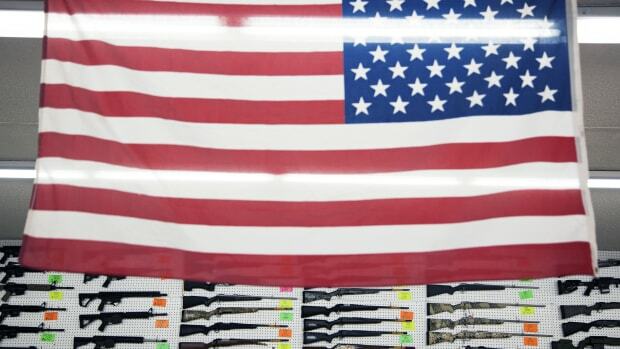 With each passing day, the debate for or against gun control rages on within the United States. And although the National Rifle Association (NRA) currently leads the charge for the rights of citizens to carry guns of all types with little to no interference from the government, the original gun rights advocates to take that stance were the Black Panthers. The Black Panthers were “innovators” in the way they viewed the Second Amendment at the time, says Winkler. 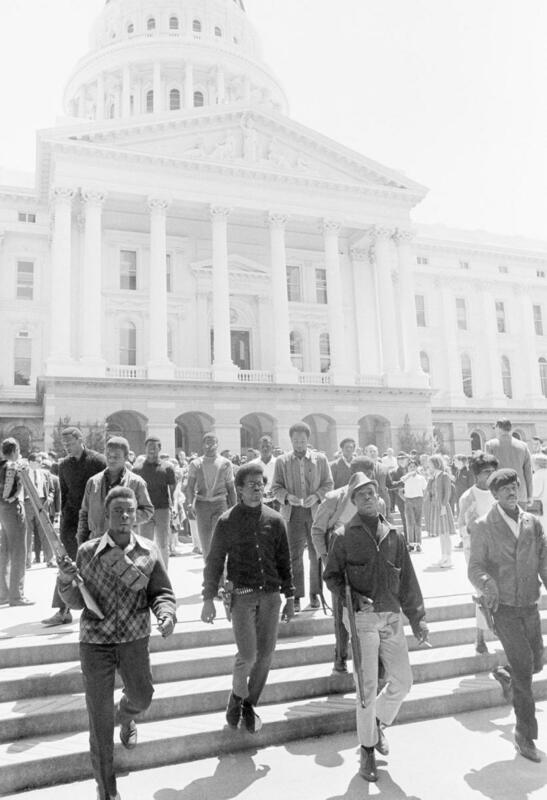 Rather than focus on the idea of self-defense in the home, the Black Panthers brazenly took their weapons to the streets, where they felt the public—particularly African-Americans—needed protection from a corrupt government. “These ideas eventually infiltrated into the NRA to shape the modern gun debate,” explains Winker. As gun control laws swept the nation, the organization adopted a similar stance to that of the activist group they once fought to regulate, with support for open-carry laws and concealed weapon laws high on their agenda. 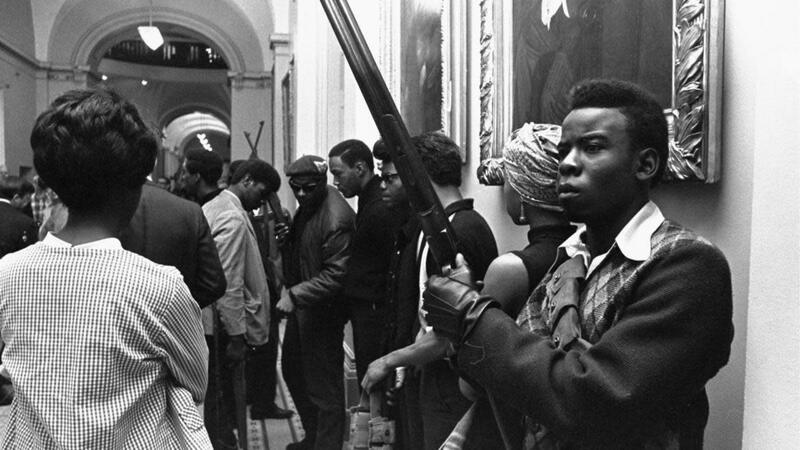 While some view the amendment to mean that American citizens have inalienable right to guns, focusing on the right to bear arms, others take it to mean that only a well-regulated militia would have that undeniable right, with the emphasis on “well-regulated” and “militia.” The Black Panthers would find themselves in the middle ground of both interpretations. VIDEO: The Second Amendment: How did the right “to keep and bear arms” become a part of the U.S. Constitution? How have ideas about this right and its protections changed over time? 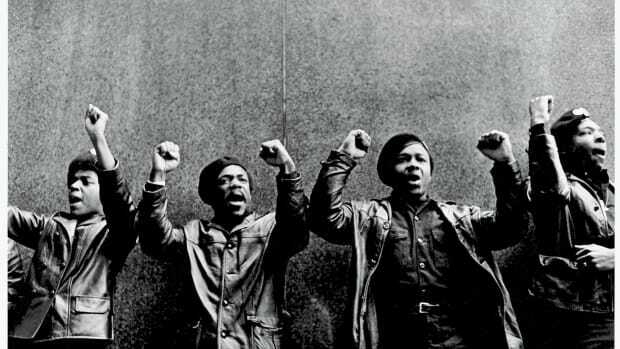 Originally called the Black Panthers for Self-Defense, the radical African-American group was formed in 1966 in Oakland, California, by Huey Newton and Bobby Seale, based on the ideology of the late Malcolm X. They believed that the fight for racial equality would not be won by a slow drip of nonviolent actions and protests, as Martin Luther King, Jr. preached, but that stronger actions were required to ensure black peoples’ survival. A large part of the group’s campaign against racial injustice relied on gun ownership and training. 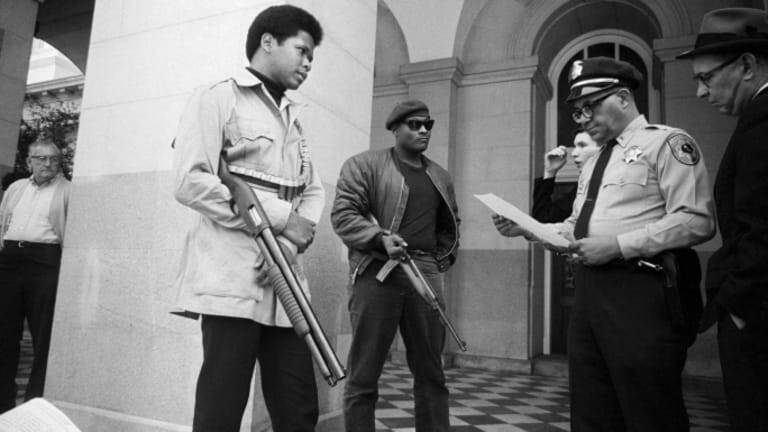 Newton and Seale began collecting a variety of guns during the early years of the Black Panthers, including machine guns, rifles and handguns. New recruits were required to learn how to wield, clean and shoot guns, in addition to understanding their right to carry firearms and how to communicate that to police in California. 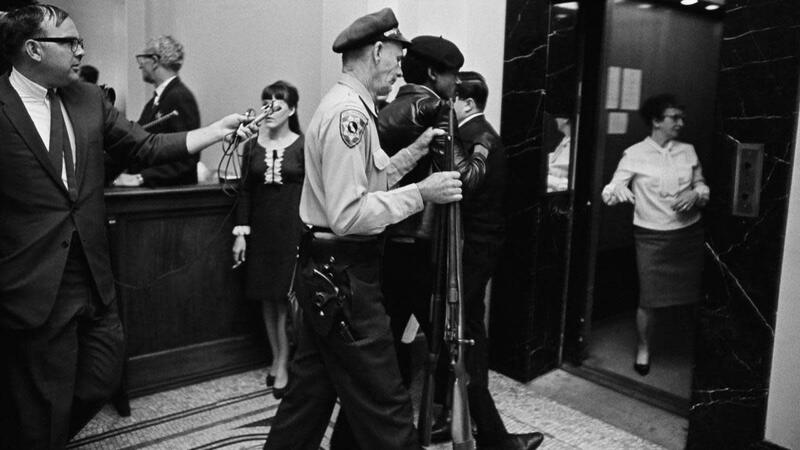 At the request of the officer, Newton stepped out of the car, rifle still in tow, and refused to explain why he and the other Black Panthers were carrying their weapons. As onlookers gathered, the police tried to disperse the crowd while Newton welcomed them. 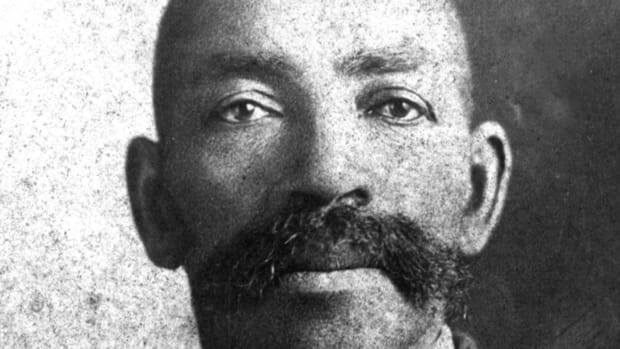 He knew that under California law, bystanders could legally view an arrest as long as they didn’t intrude. 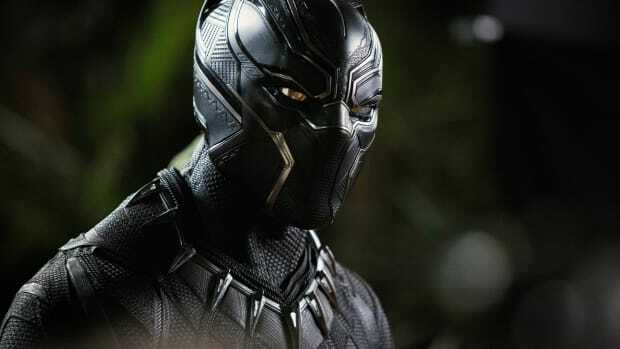 Since there were no violations for the police to charge the Black Panther members with (and a growing pack of witnesses), they were able to leave the scene without any trouble from law enforcement. 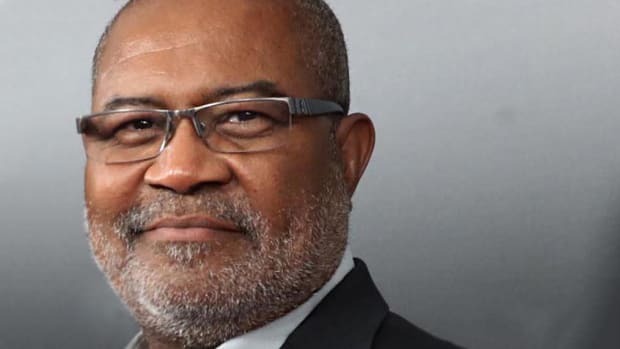 Mulford had effectively played on white America’s fear of African-Americans during the 1960s, stripping away the power the Black Panthers found in brandishing their guns. While the bill was effective in disarming the Black Panthers, it didn’t have much effect in reducing criminal violence, Winkler notes. 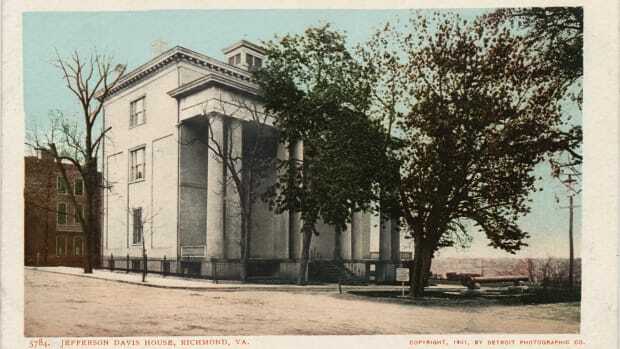 Although it may seem contrary to the ideologies of the NRA in the 21st century, this wasn’t the first time that the NRA—which was originally founded in 1871 with the intention of training Civil War veterans on marksmanship—had supported gun control legislation. In the 1920s and 1930s, the NRA supported restrictions on who could carry guns on the streets in order to decrease hostility towards European immigrants—who were known to openly carry weapons at the time—within the country. And after the assassinations of Martin Luther King, Jr. and Robert F. Kennedy in 1968, the NRA backed the Gun Control Act that passed the same year, which put substantial restrictions on the purchase of guns based on mental illness, drug addiction and age, among other factors. Ironically, it was the gun control laws that were put into effect against African-Americans and the Black Panthers that led “rural white conservatives” across the country to fear any restriction of their own guns, Winkler says. In less than a decade, the NRA would go from backing gun control regulations to inhibit groups they felt threatened by to refusing to support any gun control legislation at all.